Nokia unveiled the successor to the best-selling Windows Phone handset, Nokia Lumia 525, last month. During the launch, the company didn’t give any exact availability date for most markets, but the handset went on sale in Singapore last week. Now, Nokia has announced the availability of Nokia Lumia 525 in India, along with the gigantic Nokia Lumia 1320 at a press event in Goa, India. Nokia Lumia 525 will go on sale in the first week of January, while the oversized Lumia 1320 will hit the shelves in mid January 2014. 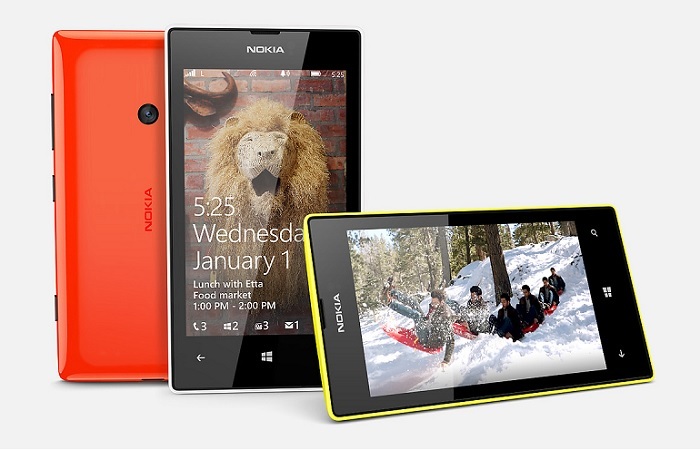 In terms of specifications, Nokia Lumia comes with minimal changes compared to its predecessor. The handset received a bump in RAM to 1GB compared to 512MB in Lumia 520. Additionally, the handset runs Windows Phone 8 with Lumia Black pre-installed out of the box. All the other specifications remain the same with a 4-inch display sporting a resolution of 480 x 800 pixels, 8GB storage with a microSD card slot, A dual-core 1GHz Qualcomm Snapdragon S4 processor, 5MP camera with 720p video recording capabilities and 1,430 mAh battery. On the other hand, Nokia Lumia 1320 is a trimmed down version of Lumia 1520 and comes with the same 6-inch HD LCD IPS display boasting a resolution of 1280 by 720 pixels resolution, 1.7 GHz dual-core Qualcomm Snapdragon 400 processor, 1GB RAM, 8GB storage with a microSD card support of up to 64GB, 5MP camera with 1080p video recording, VGA front-facing camera, a massive 3,400 mAh battery and runs Windows Phone 8 on top of it. Nokia didn’t announce the pricing of any of the two handsets, but we’ll update you as soon as they do.